Let’s look at tactical notebooks. It’s a tough notebook made for field use – like in the mud, rain, or desert heat. 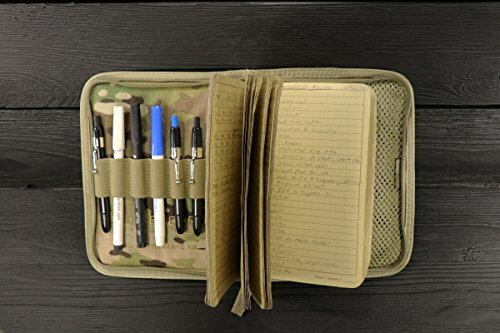 And to use a tactical or field notebook – you’d better have a tough pen too. Here’s the products we are going to cover today. 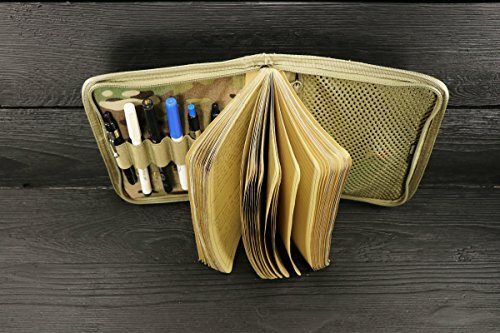 First of all, most of these will have a “window” or protective polycarbonate sleeve for displaying maps and checklists through the cover of the notebook. And because it is a notebook – you will be writing with a pen, pencil, dry erase marker, or grease pencil – so look for elastic pen loops – to secure all those writing instruments. Also handy is having a mesh pocket – so you can keep track of loose items. Convenient sizing – most will fit in a cargo pocket. 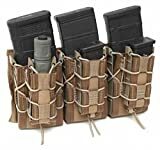 These will also fit in the admin pouch, sleeve, or pocket on a Plate Carrier, such as the Crye JPC. Tough tactical or field notebooks are great for hikers, search and rescue personnel, hunters, squad leaders, and smokejumpers. 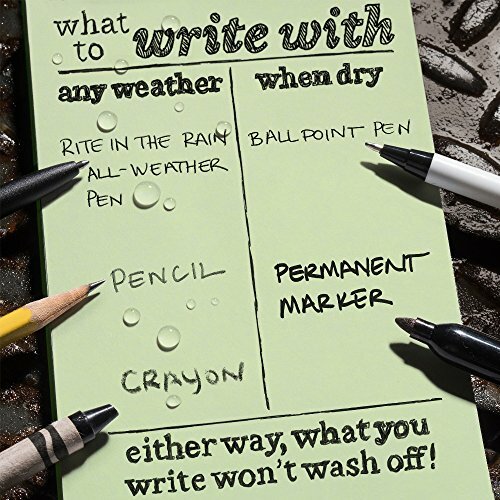 Also great for LEOs – who have to write things in all weather conditions. 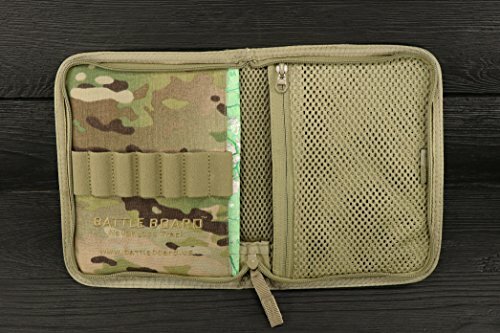 The Battle Board Scout (Buy on Amazon) is our top pick for best tactical notebook. Available in 2 sizes – the small (6″ X 8″) will fits up to a 4 ⅝” x 7 ¼” notebook. 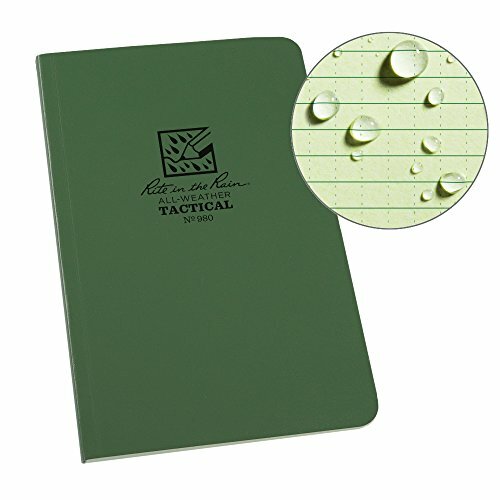 This includes most Rite-In-The-Rain notebooks – such as the Rite in the Rain No.980 Field Notebook (Buy on Amazon). The medium size (7″ X 9″) will fit up to a 5 ½” x 8 ½” notebook. The medium will fit a common green leader’s book, moleskin notebooks, and Rite-In-The-Rain notebooks. And, plenty of elastic loops for pens and writing instruments. There are 7 pen loops. You can store 3 sharpies, one pencil, and two pens. 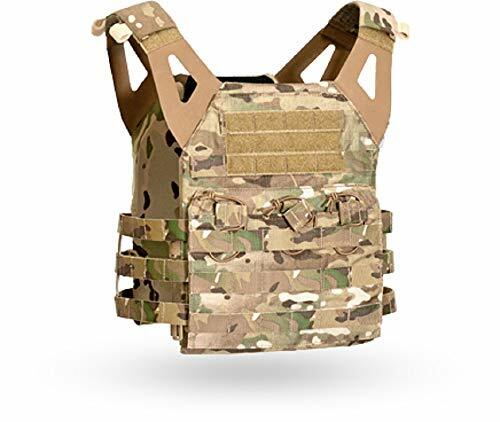 You could also store a small chemlight or ferro rod – or other similar item. 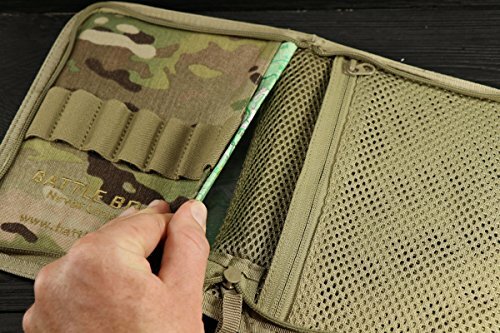 The Rite In The Rain Weatherproof Tactical Field Notebook (No. 980) (Buy on Amazon) will work great with the Battle Board Scout. This is the 980 model – so it is 4 5/8″ x 7″ in size. There is a set of standard reference materials included too. 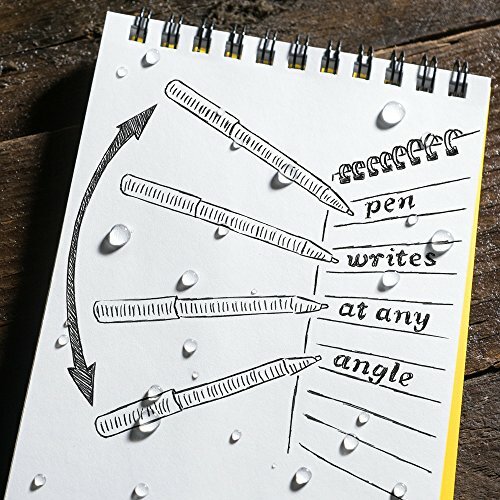 Let’s look at all weather pens to go with these all weather notebooks. You’ll need a pen too, so we recommend the Rite in the Rain All-WeatherClicker Pen (Buy on Amazon). 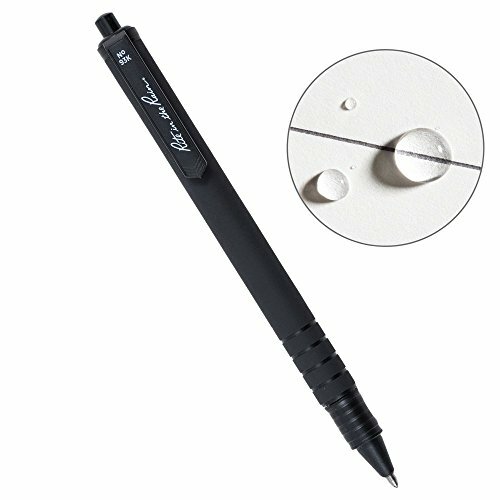 They use a pressurized cartridge with proprietary ink – so they will even write under water – or in extreme cold. Once the ink cartridge is done, you can easily replace with a Rite in the Rain Refill. That pressurized cartridge also means these will write at any angle – including upside down. That Rite in the Rain Clicker Pen is nice – but it’s cheap. Let’s look at a more durable writing option. For a step up in pen quality go for the Fisher Space Pen Military Cap-O-Matic (Buy on Amazon). All the same great features – write in any weather, any angle, and any temperature. Pressurized with nitrogen gas – it also requires proprietary ink (“thixotropic” ink). This is to ensure the nitrogen gas doesn’t escape. The difference is this one is made in the USA, and has a lifetime warranty. It is also made with brass and steel, not plastic. The matte black finish ensures it’ll match up with most military gear. Get a Rite in the Rain field notebook and add a pouch or organizer to keep it secure , along with your preferred writing instrument.